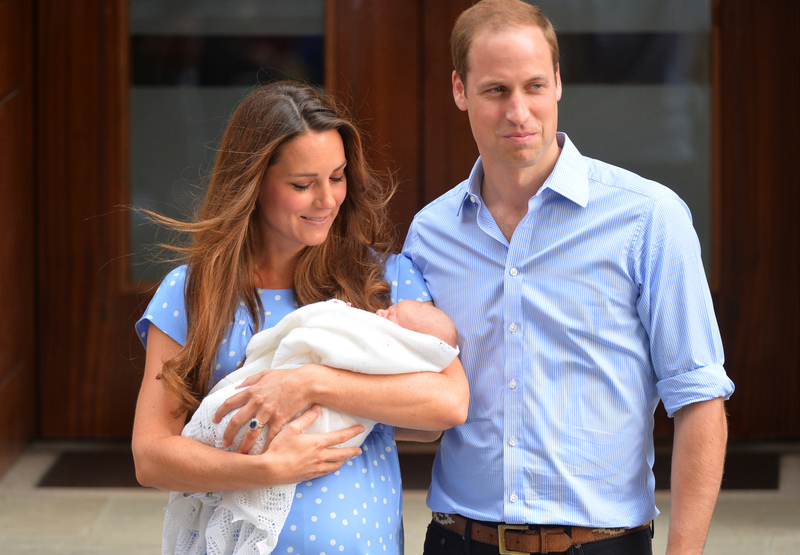 On Saturday, May 2, 2015, Kate Middleton and Prince William welcomed a baby girl to the royal family, which was announced via the official royal baby easel outside the hospital. While everyone is anxiously awaiting to see what Middleton wears on her hospital exit, especially since she is known for re-wearing outfits, what we really want to know is this: Which of Prince George's outfits will the new princess get to wear? While royal baby #2 probably won't be wearing Prince George's polos, George has plenty of stylish pieces that can easily be incorporated into her closet. I don't know about you, but I can't wait to see what the new princess will wear in her first official photo. Here are some of Prince George's clothes that the royal daughter can totally borrow. This frilly christening gown that Prince George wore in October 2013 is perfect for the new princess. In fact, it is actually a replica of the gown every royal family member has worn to his or her christening for the last 172 years, so royal baby #2 will definitely be rocking this in about three months. Sweaters are an easily transferable baby item. The new princess will look adorable in Prince George's hand-me-downs, especially this cream-colored sweater. These red and white striped overalls, which are actually from Petit Bateau, almost look pink, yet they are a hand-me-down from a boy. Take that, world. Prince George looked like a cute little nugget in this nautical romper while at the Sydney Airport, and royal baby #2 could totally wear this to her first beach outing. Did I mention that overalls are super trendy right now? How cute would the little princess look in these blue overalls that Prince George previously wore on his first birthday? Too cute to handle, I'm guessing. While Prince George doesn't look ecstatic to be wearing this red sweater while in Canberra, Australia, I bet royal baby #2 will be more than thrilled to standout in this bright red cardigan. Putting their new daughter in this blue sweater would be a great way for the royal family to say "eff you" to gender stereotypes. Not to mention, I imagine the royal daughter will look great in blue, considering it's one of Middleton's signature shades.